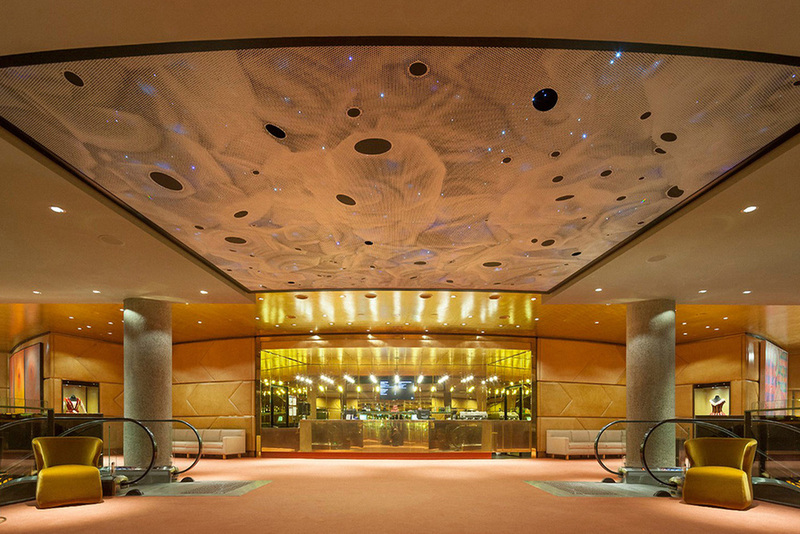 Falling Light provides another layer of meaning to Roy Grounds’ and John Truscott’s conceptual exploration of geology as a basis for the architecture and design of Hamer Hall. On the level below the work Silence in Hamer Hall, Falling Light emerges like an X-ray or memory of a subterranean image of silver crystal. A cosmos of stars glitters through the perforated surface image with occasional shafts of light punctuating the undulating array.